Google has published its yearly rundown of top web searches. At Google’s trending topics of 2017 site you can ponder over global categories or to dive down and check out the trending interests of various countries worldwide. 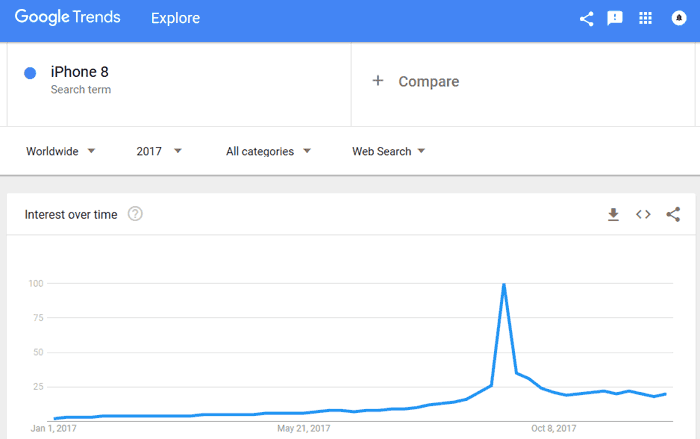 As an example of the differences worldwide; the global overall top search for 2017 was Hurricane Irma, meanwhile in the UK it was Meghan Markle, and in Hong Kong it was 降魔的. All the above are smartphones and gaming consoles. However there was one more tech topic trending high in news and how-to searches: Bitcoin. The spectacular ascent in Bitcoin value, threats to the currency, and cryprocurrency mining have all featured within HEXUS news a few times this year. 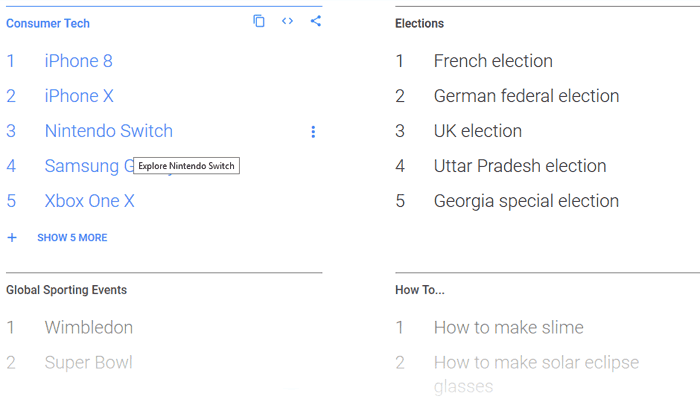 Looking at topics beyond tech, the top global news searches included several hurricanes, Bitcoin, North Korea, the Solar Eclipse, and Manchester. The global ‘top people’ were Matt Lauer, Meghan Markle, and Nadi Toffa. Top ‘how-to’ searches concerned making slime, making solar glasses, and Bitcoin mining. In movies, the top searched for titles were; IT, Wonder Woman and Beauty and the Beast. If you are interested in exploring the global search trend topic lists head on over here. To switch from global to a country of interest to you there is a pop-up selection list available if you click the word ‘global’ in the header. While you are nosing around, you can click any keyword to see how its search trended during 2017.